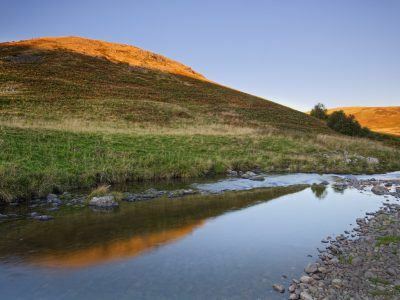 This historical landscape interactive map is aimed to show how human’s appearance and culture change the landscape of Northumberland National Park area over centuries. In this GIS-based map, you can explore different historical periods by switching the layers on and off and see how the landscape changes over time. 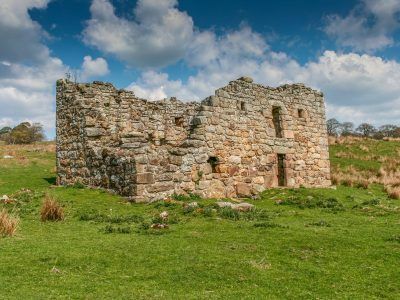 This interactive map is generated based on the Historic Environment Record (HER) and Historic Landscape Characterisation data of the Northumberland County Council. This map is a part of placement project of Salsabilla Sakinah from Media, Culture and Heritage Newcastle University. Finds of Mesolithic stone tools found in what is now the Northumberland National Park suggested that humans have been here since about 10,000 years ago. However, there was no evidence for monuments or settlements in this area until the Neolithic and Bronze Age period, with evidence of burial cairns and cup and ring marked stone. This period also saw the emergence of more permanent settlement, such as hut circles and round houses, with associated field systems-marked by clearance cairns. From the late prehistoric/Iron Age period, there were defended settlements and hillforts in this area; the largest is the one at the summit of Yeavering Bell. Its size and location suggest that the hillfort might have some political importance: controlling a large territory over the wider landscape, and possibly over the communities of other Cheviot hillforts. The Romans came to Britain in AD49, arriving into the territory of the native Votadini in what is now the National Park in the late AD70s. The biggest change the Romans brought to this landscape was the roads, camps and forts as part of their expansion and construction of a fixed frontier. Roads such as Dere Street, which runs through Redesdale to Chew Green at the head of the River Coquet and the Stanegate. Hadrian’s Wall, the symbol of Empire, the northern frontier from AD 122. You can see the remains of the Roman camps and forts which were connected by these roads, with a vicus or civilian settlement where non-military personnel lived, including families, traders and craftspeople. There are the remains of pagan religion such as the Temple of Mithras at Brocolitia. Beside of settlement that was associated with the Roman military activity, there were also plenty of “native” settlements in this area, as the evidence suggests the North was never ‘Romanised’ archaeologically in the same way as Southern England with its grand villas and temples. By the early fifth century, however, Roman ways and customs were firmly established by the time the Roman military occupation came to an end. After the Roman army left Britannia, historically known as the “dark ages” but archaeologically a thriving culture existed, the “Golden Age of Northumbria”. It is possible that people may have occupied native farmsteads and hillforts, but from sixth century new traditions emerged when the Anglian people established their own territory, Ida in AD547, became the first Anglian king of Byrnaich (Bernicia). The Anglian kingdom built great timber halls, such as the one excavated at Yeavering (Ad Gefrin) and were converted to Christianity, evidence for which comes from stone crosses and churches across the former Kingdom of Bernicia. The Late Medieval period saw wars between England and Scotland, with castle and tower house building and the building of villages and manors surrounded by fields of ridge and furrow. For many people, living in this border area at that period became hard due to the constant conflict between the army and the increasing violence, which intensified into the sixteenth century with the notorious Border Reivers by English and Scots, family against family, building there defended farmhouses called bastles. By the end of the medieval period, many medieval villages in this area were abandoned and became deserted, due to changes in the social order, war, climate and plague. The post-medieval period was marked by the Union of the Crowns in 1603 following James VI of Scotland became James I of England. In the early part of this period, the effects of the Border conflicts had not completely disappeared yet: some bastles survived, many converted as part of larger farmstead. Remains of farming associated were dominated by dispersed farmsteads, stack stands, and sheepfolds, suggest the continuing tradition of sheep and cattle hill farming. 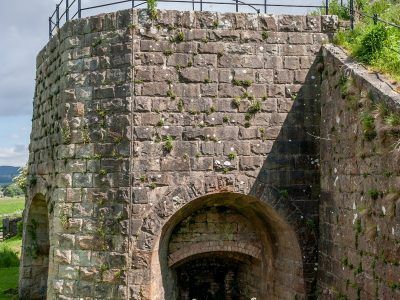 A major change to the landscape in this period is the evidence for industry on a large scale, with stone quarries, limekilns, corn drying kiln, coal and lead mines and ironworks, with a network of railways, tramways and waggonways.